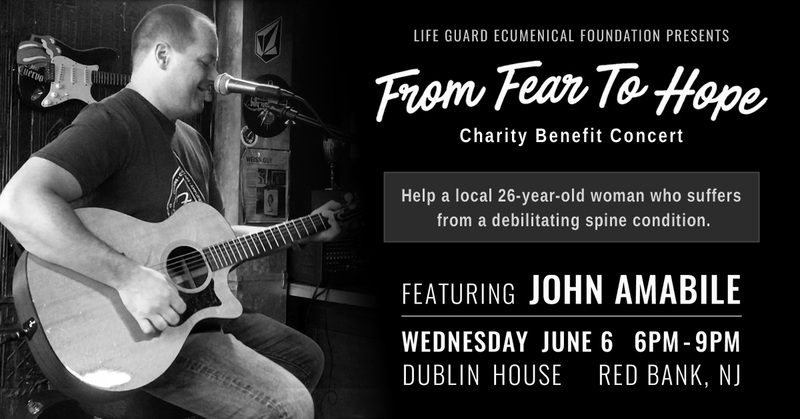 Please join us on Wednesday, June 6th from 6-9 PM at the Dublin House in Red Bank, NJ as we continue to raise funds to benefit the "From Fear To Hope" campaign. Live music will be provided by our very own John Amabile. "Help us as we raise money for a scared, 26-year-old female with a debilitating spine disorder that has left her not much taller than four feet. She is unable to drive and has a hard time walking and standing for long periods due to intense pain. We have come together to get this young girl out of this horrible living situation and to a safe home environment where she can heal and thrive." If you are unable to attend, please consider making a donation to this campaign. It will make a world of difference in helping to transform a local woman's life.